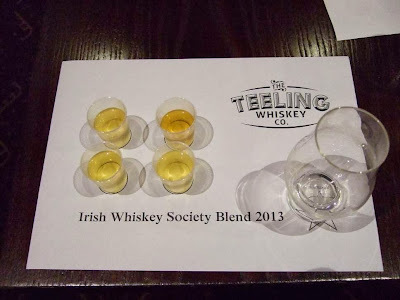 Back in June, the Irish Whiskey Society gathered in the Sinatra Lounge of The Arlington Hotel to select this year's bottling. Alex Chasko of the Teeling Whiskey Company brought along four candidate blends he had created from TWC stock. Many unique blends were pipetted into existence and quaffed into oblivion, never to be tasted again. Fun! 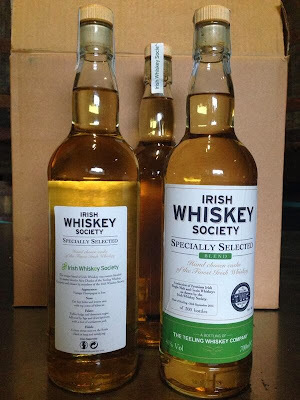 Some months later, the blend we chose that night has now been hand-bottled and labelled by several members of the society committee. Cut hay bales and lemon zest with top notes of hibiscus. Toffee fudge and demerara sugar, followed by figs and dried apricots, with a hint of cardamom pod. A clean citrus note on the finish which is long and satisfying. 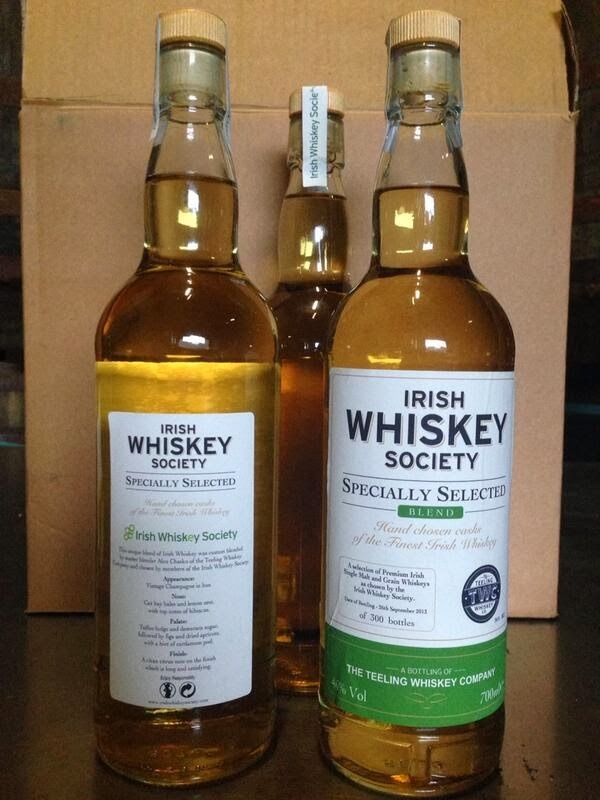 The entire run of 300 bottles is available exclusively to members of the Irish Whiskey Society (sure it's just one more reason to join).